April | 2016 | LIT.GAZ. Nowadays, silent reading is the norm, and reading aloud rather less common, I think. We read to infants and small children, and I can still recall the pleasure of reading to, and then reading with, my daughters. There is something magical about the young discovering story, and something conspiratorial as an adult sharing it with them. And, of course, children are read to at school. I rediscovered reading aloud as a teacher. I’ve mentioned elsewhere in these pages my sharing of readers with my classes and how I based the major part of my teaching on books we read in class. 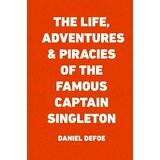 Looking back on it all now, some years later, I think somewhere I was indulging my enjoyment of reading aloud to a certain extent. 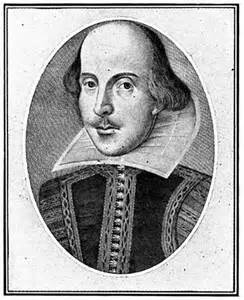 I would ask for volunteers to read and got them; I would pick on those who never volunteered occasionally; I would go round the class and have everyone read. And every half dozen turns or so, it came back to me to read: to pick up the pace, to reach a suitable pause for the end of a lesson, to bring out the best in a particular passage. Sometimes I would do the voices, or the accents… I think we all enjoyed it, and got the necessary learning done, too. Poetry is a particular case: most poetry is meant to be read aloud, for then we get the full play of sounds, words, rhyme, rhythm, metre and the rest,which skimming silently over the words on the page cannot give; indeed I would advise students presented with unseen poems to write about in exams to ‘vocalise silently’ to themselves in order to extract the subtleties of the verse to write about. Somehow, the pleasure is different: the consumption of the text – and therefore its enjoyment – is much slowed. The words themselves, the choice of language, and its rhythms, if the delivery is good, can be savoured. You cannot fast-forward, skip over or skim-read a few pages of an audiobook as you can with the paper and ink version. I first came across a reference to this 1000-page novel when I was researching at the Science Fiction Foundation many years ago; it was out-of-print and unobtainable, but their library had a copy. It seduced me then, as a utopia not quite like the others. At the turn of the millennium it was reissued, and I’ve gone back to my own copy and enjoyed it again. 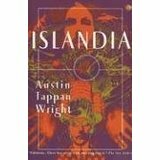 Wright wrote the book in the 1920s, based on an incredibly detailed invented world he’d imagined and documented in great detail (I’ve heard his efforts compared to Tolkien’s – justified, but very different): Islandia is a nation on a continent somewhere in the southern oceans near Antarctica. It’s about to become part of the land-grab for its natural resources by Western nations in the run-up to the Great War. Two factions in the nation are opposed, one willing to accept the notion of opening up to the world, but naively unaware of the true cost of this, and the other determined to resist, to remain as they have always been, cut off from the outside world, a sort of mediaeval, pastoral utopia. In some ways, the closest resemblance I can think of it William Morris‘ News From Nowhere, but Wright surpasses it by a long way. Into this comes a young, rootless American named consul to Islandia as the US prepares to join the Europeans in getting what it can. Here is the classic way in to the utopia: the outsider slowly falls in love with what he sees, changes sides, eventually comes to make his new life there having helped the nation defeat the external threat. We can see how Islandia is attractive to him. So far, nothing new. Yet Wright does more than spin a yarn, or offer a plausible route to human happiness, and, the more I think about it, the more the thousand pages is part of its success: it’s compelling because of its length; the leisureliness draws you in and seduces you with the attractiveness of the life the inhabitants seem to enjoy: hard work, good company, contentment. As it’s an American utopia, the tendency is more individualist, anarchist even, than ours in Europe, but its proponents ask the same basic questions, nevertheless: what IS progress, exactly? Do we NEED it? There is more to life than the treadmill of work, be paid, consume… And they advocate equality for all. I could also see the American federal vs states rights issue coming though: how much should the individual cede to the state? – the minimum possible seems to be the answer. The major striking thing, for a novel written nearly a century ago now, is its open and honest focus on relations between the sexes, and the nature of sexuality. Again, because we spend so long in Islandia, the issues can be explored at length. At one level I could describe the novel as a bildungsroman: the hero, John Lang, grows up and finds himself in terms of discovering a meaning to life, but also sexually: he experiences three very different relationships with three very different women, and we leave him having finally found happiness in his adopted country. 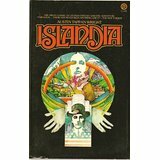 It’s by no means a flawless novel: there’s somewhat disturbing – to us nowadays, and I don’t think deliberately intended – racism, in that the external threat to Islandia comes from ‘black savages’ armed and put up to it by Germans. Islandia is a small nation and feels rather mediaeval in some ways: there’s no suggestion that its system might work on a larger scale. The important issue of stasis in perfect societies and what to do about it, is admitted but not really resolved. At one point I did find myself wondering, was the novel – elaborate fantasy that it is – written for the author’s own satisfaction rather than a wider readership? But it is good, and definitely worth a read if you are interested in utopian fiction. I think it’s one of the classics of the genre. Some of you may be aware of my long-standing interest in the Great War, from occasional mentions of my visits to battlefields and more frequent reviews of literature connected with it. 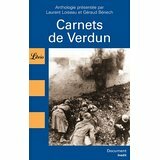 I’ve read this anthology from accounts by French veterans of the Battle of Verdun during my first visit to the area. British interest in the Great War tends to focus either on Flanders or the Somme, these being two main areas where our troops were heavily involved. For the French, Verdun is the battle, the symbol. The soldiers’ accounts paint a horrific picture, of destruction, slaughter and cruelty beside which I have found a lot of what I’ve read about the Somme pales rather. Nine villages so completely erased from the map that they could not be rebuilt after the war and are now merely marked as historical remains – martyr villages – on maps. Men used as cannon-fodder because their commanders hadn’t a clue what to do, and (almost) willingly going to certain death because they were really doing it for their families and their country. Astonishing acts of bravery and endurance by ordinary men. The more I see, the less I understand. The museums and memorials here are very interesting. I can see how and why both French and Germans have been so committed to real reconciliation and peace-making in Europe, and again, this feels like something hard for us on our island to understand clearly. Forty per cent of the Frenchmen who died in the Great War died in the first three months, because they were so desperate to drive out the invaders. Twenty-seven thousand of those died on one day, which puts some perspective onto the first day of the Battle of the Somme. Two things I’m aware of: books like this remind me of the appalling human cost, and the human tragedy. Museums and exhibitions, with their emphasis on artefacts, remind me of the stupendous destruction and waste of all sorts of materials and resources which might have been put to better use. Are we really an intelligent species? I wouldn’t want any of my readers who is a mathematician or scientist (and I hope there are some of you!) to get the impression that these are subjects I am indifferent to, even though my knowledge is pretty scant: I do have O-Level Maths, and was one of the very first students to study what was called ‘modern maths’ in the sixties, and I also have what was quaintly known as ‘General Science’ O-Level (ie very basic). Some of the most interesting conversations I used to have as a teacher were with science and maths-teaching colleagues; I am still proud of my abilities in mental arithmetic and calculation, and I’ve always found playing with numbers in my head fascinating, along with other connections I’ve been able to make between what I learned in school, and later life. As far as science goes, I’ve had a lifelong interest in astronomy – my primary school best friend and I used to fantasise about whether we could get to be the first men to land on the moon! – and my enjoyment of detective fiction means I’ve always liked reading about forensic science. However, I do have to admit that an awful lot of mathematical and scientific knowledge does give me a serious headache after not very long: my brain just doesn’t seem to be wired that way… I did actually get to the end of Stephen Hawking‘s A Brief History of Time, but please don’t ask me what it’s about. Maths and science feature noticeably in my reading. 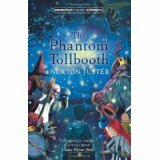 I loved Norman Juster‘s The Phantom Tollbooth, a book for children that introduces one to the joys of playing with words and numbers, as Milo visits the cities of Digitopolis and Dictionopolis. 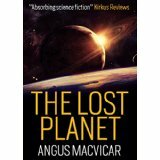 And, as I thought about this post, I realised that I’ve liked science fiction ever since I was a small boy, perhaps beginning with the Lost Planet series by Angus MacVicar, and never looking back since. But I must then confess that it’s never really been the ‘hard science’ variety that’s gripped me, much more the speculative kind. 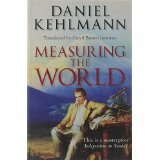 I found the fictionalised travels of the eighteenth century polymath Alexander von Humboldt, in Daniel Kehlmann‘s novel Measuring the World so interesting that I then went on to seek out and enjoy (an edited version of ) Humboldt’s travel journals. 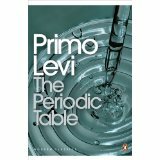 And Primo Levi, a chemist who survived Auschwitz, though not much of life after Auschwitz, wrote a fascinating fictionalised autobiography called The Periodic Table; each chapter is named after an element, the last is carbon, and the ending of the book is both witty (in the best sense of that word) and masterly.